The Federal Road Safety Corps on Thursday said it had in the last three months referred 2,143 drivers to specialist hospitals to ascertain their mental health status. It said the motorists were among 2,360 arrested for various traffic offences in Abuja as part of its Operation Cobra, an initiative for the arrest and prosecution of motorists found to have violated traffic rules towards restoring sanity to the nation’s highways. 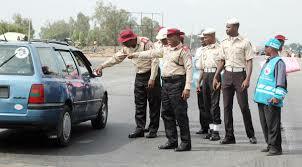 The Corps Marshal, FRSC, Mr. Boboye Oyeyemi, gave the figures in Lagos on Thursday at a press briefing to mark the beginning of the 10th ‘Don’t Drink and Drive Campaign’.